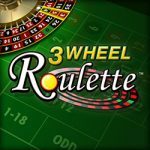 2D Roulette is a fixed-odds betting game based on the traditional casino classic, roulette. It’s brought to you by Rizk. There are several betting outcomes for players to place bets on. It’s a quick-bet version of roulette. Some casinos offer players the opportunity to try the game before wagering any cash. I found this to be a great feature for newbie casino players like myself. When you have used your £100 in imaginary funds, you will get a message pop up on the screen asking you if you would like to play for real. Animation – if you don’t wish to see the table spin, select the ‘off’ button. The ball will show and will go straight to one of the end positions. Sound – click the off button if you wish to play with no sound. 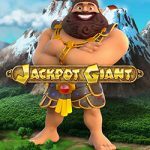 Betting history – this shows you the gaming summary. Click the more button for an in-depth description on the betting sessions. Decimal odds – press this button to change the way the odds are displayed. You simply choose your stake or chip size and place your bet on the betting table. The numbers you are betting on will be highlighted as you hover your mouse over them. Select ‘bet now’ for a single game or choose auto-bet to select up to 10 games, then sit back and wait for the result. If you’ve placed a winning bet, you will be credited immediately.